Today, I’m delighted to announce that New Zealand’s very own PressPatron will be supported as part of the Innovation Challenge. PressPatron is a platform that aims to support the future of journalism, through a mix of crowdfunding, membership payments and donations. By simplifying the process for supporters to make contributions to their favourite media sites, this kiwi organisations is ensuring the support of readers allows publishers to expand their capacity to report on the stories that matter most. There were 23 applications that received GNI support, all equally impressive in their own right. Check them out here. This entry was posted in Google New Zealand Blog and tagged New Zealand on April 1, 2019 by G Australia. In 2012, Brianne West had a dream to reduce the amount of single use plastic in the cosmetic industry. After experimenting from her kitchen in Christchurch, she formulated, mixed, and moulded by hand the first batches of shampoo and conditioner bars. And that was the beginning of Ethique. Soon after successfully selling her first products in a local community forum, Brianne realised they had potential to reach a global audience through online advertising. Fast forward to 2019, Ethique now sells worldwide via its website and in retail stores in nine countries, employs ten people, and has prevented more than three million plastic bottles - a total of 82.5 tonnes of plastic - from ending up in landfills and our oceans. Scientists have established that if we continue as we have been, by the year 2050, we’ll have more plastic in the ocean than actual fish. Igniting her entrepreneurial spirit and passion for the environment, Brianne has raised their ambition to save six million plastic bottles in 2019. Significantly contributing to both her local community and the world. Watch Brianne’s story to learn more about how Ethique started reaching international customers looking for environmentally friendly products, and check how you can also grow your business and reach new customers with Google Ads. Post content Posted by Richard Flanagan / Head of Small Business Marketing for Google Australia and New Zealand. 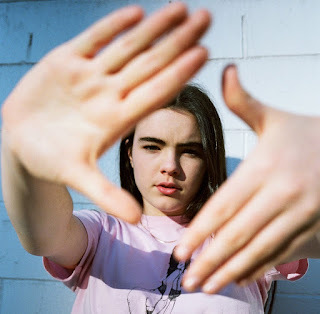 This entry was posted in Google New Zealand Blog and tagged New Zealand on March 5, 2019 by G Australia. The Google Street View Trekker has travelled down the Venetian Canals, the Colorado River and London’s River Thames, and now it has traversed the length of New Zealand’s longest river. All 425 kilometres of the Waikato River will launch today on Google Street View. To capture the Waikato River and all its beauty, the Google Street View Trekker was installed on a number of boats to get a unique water perspective. The trip started on board the “Poutiaki” (kindly provided by Waikato Tainui) and concluded with the support of the Taupo Coast Guard RIB. With training and guidance from our local intrepid trekker and Google Street View Ops Lead in NZ, Matt Jenke, the Waikato River Festival – He Piko He Taniwha team carefully mounted the Trekker system, which weighs around 18 kilograms, onto each boat used throughout the project; then spent over a month collecting imagery from Port Waikato all the way to Lake Taupo. With 15 camera lenses taking photos every 2.5 seconds, panoramic imagery was captured to create an interactive 360 degree virtual tour now visible for aspiring or armchair travellers across the globe via Google Street View. Weather, logistics, rapids and hydro dams were some challenges navigated along the way - but with the support of boat owners, volunteer skippers and crew (including the Upper and Lower Waikato Regional Council Harbour Masters), the Waikato River Festival team (and Trekker) were kept safe. With eight dams along the river and at least three sets of rapids making sections of the river inaccessible by boat, supplementary 360 aerial imagery was collected by drone to make sure you don’t miss a centimeter of scenery. Take a peek at the full Waikato River gallery here before your next trip to the region or to simply learn more about this fascinating stretch of the North Island. Post content Posted by Cynthia Wei, Program Manager for Google Street View. This entry was posted in Google New Zealand Blog and tagged New Zealand on March 4, 2019 by G Australia. Today as a nation we recognise the 1840 signing of the Treaty of Waitangi, and today’s Google Doodle spotlights the flora unique to our island nation - the silver fern, the Kōwhai and the Pōhutakawa flowers which are emblems of New Zealand’s diverse plant life. Our geographical isolation in the Pacific Ocean means that some 80 percent of the islands’ fern, flower, and tree species are native. What makes this even more special, is that most can be found nowhere else in the world. For years we’ve worn the silver fern with pride, badging our nation’s uniforms for sports teams or military troops. The silver fern was traditionally seen by Māori as a symbol of strength and resilience and has become a symbol of our national identity and spirit. Practically, the underside of the fern’s leaves can reflect moonlight, and act as a guide through the forest at night for twilight travellers. The unofficial national flower, the bright yellow blossoms of the Kōwhai tree, act as a sign of the end of winter. But more than just visually stunning, the tree’s bark is renowned for its medicinal properties, useful for treating everything from dandruff to seal bites. Finally, the Pōhutukawa’s crimson flowers bloom around the holiday season, lending it the name “New Zealand Christmas Tree.” The plant figures prominently in Māori legends as a bridge between the living and the spirit world, and has become a contemporary symbol of home for kiwis here and abroad. This entry was posted in Google New Zealand Blog and tagged New Zealand on February 5, 2019 by G Australia. This entry was posted in Google New Zealand Blog and tagged New Zealand on February 4, 2019 by G Australia. This entry was posted in Google New Zealand Blog and tagged New Zealand on January 21, 2019 by G Australia. From Freddie Mercury to the ‘first baby’, the Census to Suzy Cato - our search habits reveal the things that made us care, cry and crack up in 2018. With 2018 almost done and dusted, it’s time to reflect on the people, moments, tragedies and celebrations that brought us together as Kiwis this year. Our searches show we embraced Diwali and Matariki, gave keto a crack (despite asking how to cook rice), fussed over our ‘first baby’ and kept a watchful eye on cyclones, hurricanes and wildfires around the world. We also caught the Fortnite craze, made sure we were counted in the Census – but still found the time to search for cake and bikkies. 2018 gave us many proud moments. Our searches show our excitement about the arrival of New Zealand’s ‘first baby’, the daughter of PM Jacinda Ardern and partner Clarke Gayford. Keeping it family oriented, we were also mesmerised by Meghan Markle as she made her royal entrance as the Duchess of Sussex. Our ties to the motherland and fascination with the life of a princess meant searches for the Royal Wedding were a top hit. In true Kiwi fashion, sports and sporting events dominated our overall top searches in 2018. The FIFA World Cup was our most popular search of 2018, closely followed by the Commonwealth Games, where swimmer Sophie Pascoe and weightlifter Laurel Hubbard took home gold medals and made our top searches. With no surprises, the All Blacks vs France test matches also made our top list. Whether standing out at home or winning on the world stage, our searches in 2018 show we love our homegrown success stories. Politicians and pop culture icons dominated the list of most searched Kiwis this year – Jacinda Ardern and Clarke Gayford were as popular at home as they were abroad, while opposition MPs Simon Bridges and Jami-Lee Ross also generated considerable search interest. Entertainers Stan Walker and New Zealand’s sweetheart Suzy Cato also found a place in our hearts this year, along with the late, great amateur stuntman Johnny Danger. Nature’s fury had us on the edge of our seats this year, with natural disasters making up half our top trending news searches – from cyclones and hurricanes to volcanic eruptions and wildfires. We also joined the world in mourning the loss of many greats who made their mark across media, fashion, food, music and science. The much-loved Kiwi news presenter and family man, Greg Boyd, was mourned greatly by New Zealanders. Kiwi’s also mourned the loss of musicians Avicii and Aretha Franklin, along with the brilliant astrophysicist Stephen Hawking. From food to technology, the ‘How to…?’ and ‘What is…?’ questions were eclectic and quirky, proving the number eight wire attitude is alive and well in New Zealand. Kiwis wondered how to draw a rose, how to cut a mango – and what mycoplasma bovis is following the outbreak of the disease. But most of all, we were curious about our technology. The number one question asked was “What is bitcoin?, closely followed by queries about how to find IP addresses and take screenshots. Whether it’s our New Year's resolutions or the realisation that summer is upon us, we’re ready to give new diets a crack. “Keto Diet”’ was our number one searched diet, along with the second most searched recipe type. We were also loving our vege eats this year – With vegan recipes taking the number one slot, among recipes for salads, pumpkin and zucchini. But Kiwis still made room for treats – recipes for fettuccine, biscuits and cakes still made our top ten list. This entry was posted in Google New Zealand Blog and tagged New Zealand on December 13, 2018 by G Australia. In 2018, you danced your heart out to Maroon 5, yodelled along with a kid in Walmart, and played a lot of Fortnite. It's time for our annual look back at the year that was in video and reflect on the moments that captured New Zealand. This year was marked by celebrity moments. In February, Kylie Jenner surprised the world with To Our Daughter, an 11-minute film detailing her pregnancy and the birth of baby Stormi. And of course, there was our fascination with the Royal Wedding of Harry and Meghan. Emerging and well-known YouTube stars also showed up in a big way in the year's Top Trending Videos list. Liza Koshy and David Dobrik shared the news of their breakup through tears and laughter, we sang along with Paul McCartney in a special Carpool Karaoke, were blown away by a performance from Courtney Hadwin, the guys from Dude Perfect somehow perfectly tossed bread into a toaster, and we were determined to solve the internet’s latest mystery -- seriously, is it Yanny or Laurel? We also supported local actor Julian Dennison as he hit screens in Deadpool 2. In 2018, we were hooked on the biggest releases of the year with Bruno, Drake and Childish Gambino all making appearances in New Zealand’s top trending music list. This entry was posted in Google New Zealand Blog and tagged New Zealand on December 6, 2018 by G Australia. In pop culture, artificial intelligence (AI) often shows up as a robot companion, like TARS in “Interstellar,” or some far-out superintelligence. But in reality, AI—computer programming tools that help us find patterns in complex data and make everyday products more useful—already powers a lot of technology around us, and is addressing some of society’s biggest unsolved challenges. For the past few years we’ve been applying core Google AI research and engineering to projects with positive societal impact, including forecasting floods, protecting whales, and predicting famine. Today we’re unifying these efforts in a new program called AI for Social Good. We’re applying AI to a wide range of problems, partnering with external organizations to work toward solutions. But we’re far from having all the answers—or even knowing all the questions. We want people from as many backgrounds as possible to surface problems that AI can help solve, and to be empowered to create solutions themselves. So as a part of AI for Social Good, we’re also launching the Google AI Impact Challenge, a global call for nonprofits, academics, and social enterprises from around the world to submit proposals on how they could use AI to help address some of the world’s greatest social, humanitarian and environmental problems. We’ll help selected organizations bring their proposals to life with coaching from Google’s AI experts, Google.org grant funding from a $25 million pool, and credits and consulting from Google Cloud. Grantees will also join a specialized Launchpad Accelerator program, and we’ll tailor additional support to each project’s needs in collaboration with data science nonprofit DataKind. In spring of 2019, an international panel of experts, who work in computer science and the social sector, will help us choose the top proposals. We don’t expect applicants to be AI experts. For any nonprofit or researcher who has a great idea or wants help brainstorming one, we've built an educational guide with introductions to AI and the types of problems it’s well-suited for, as well as workshops in key locations around the world. Wildlife conservation: To better protect endangered whales, we have to know where they are. With AI developed at Google—in the same vein as research by college student Daniel de Leon—it’s possible to quickly scan 100,000 hours of audio recorded in the Pacific to identify whale sounds. We hope one day we can not only better identify whales in these recordings, but also accurately deploy this system at scale to find and protect whales. Employment: In South Africa, Harambee Youth Employment Accelerator helps connect unemployed youth with entry-level positions. As a participant in Google Cloud’s Data Solutions for Change program, they’ve used data analytics and ML to match over 50,000 candidates with jobs. Flood prediction: Floods affect up to 250 million people, causing thousands of fatalities and inflicting billions of dollars of economic damage every year. At Google, we’ve combined physics-based modeling and AI to provide earlier and more accurate flood warnings through Google Public Alerts. 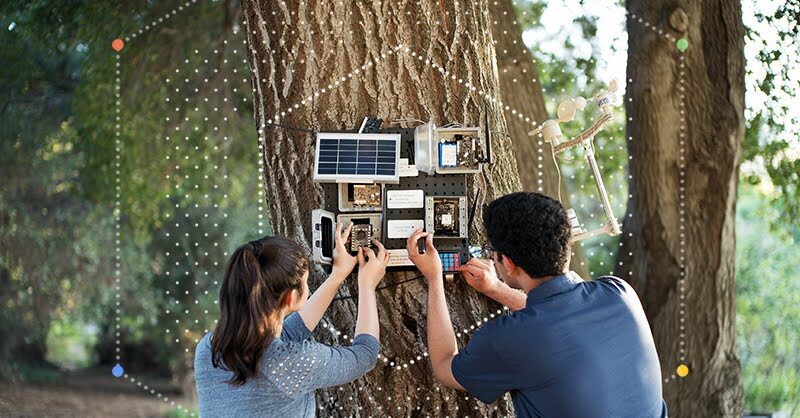 Wildfire prevention: Two high school students in California built a device that uses AI to identify and predict areas in a forest that are susceptible to wildfires. This technology could one day provide an early warning to fire authorities. Infant health: Ubenwa is a Canadian company that built an AI system to analyze the sounds of a baby crying and predict the risk of birth asphyxia (when a baby's brain and other organs don’t get enough oxygen and nutrients during birth). It’s a mobile app so it can be widely used even where doctors aren’t readily available. We’re excited to see what new ideas nonprofits, developers and social entrepreneurs from across the world come up with—and we’re looking forward to supporting them as best we can. This entry was posted in Google New Zealand Blog and tagged New Zealand on October 30, 2018 by Johnny Luu. Schools tell us that Chromebooks fill three big needs: they’re easy for students and teachers to use, they’re easy to share and they’re easy to manage. Today, we have some exciting news about the management of Chromebooks that will make the Chrome Education license—our cloud-based device management console—more accessible to schools across New Zealand. This follows on the announcement last year that Chromebooks are the number one device used in New Zealand schools, and is great news for schools and families using Chromebooks or considering investing in them. This entry was posted in Google New Zealand Blog and tagged New Zealand on October 22, 2018 by Johnny Luu.